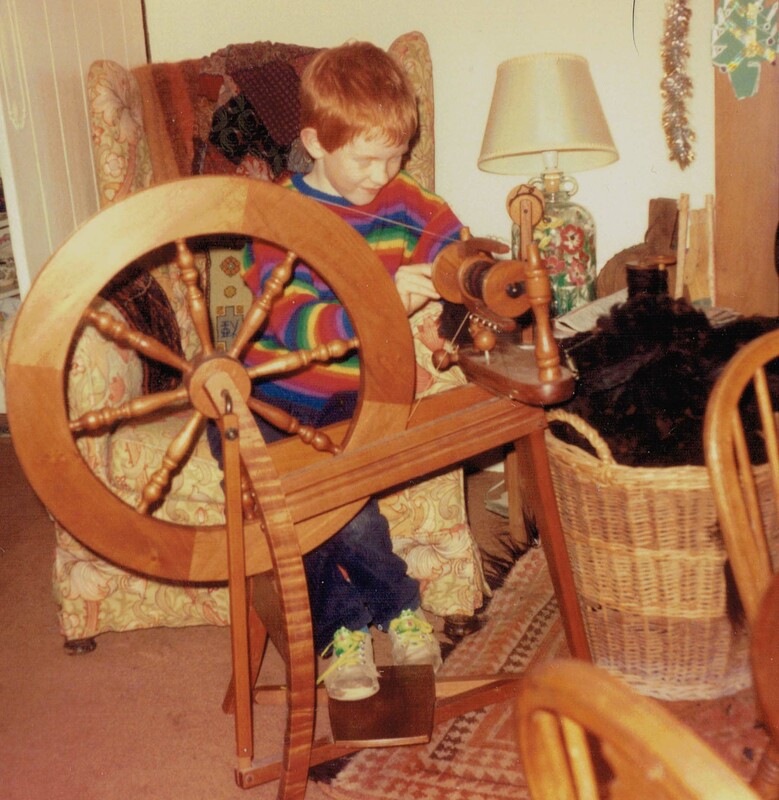 What a very poignant tale of two spinning wheels, and lovely for me to understand something of the significance of spinning in your life. It is such a telling metaphor for teasing something out, spinning a tale, spinning the fates. One day perhaps you can show me how you do it. And the product is so scrumptious, indeed edible! Thank you for reminding me, Polly, about the ancient use of spinning imagery. The story of the Three Fates spinning out our lifeline is particularly powerful. Glad you liked the “product” – happy to show you how it’s made one day! 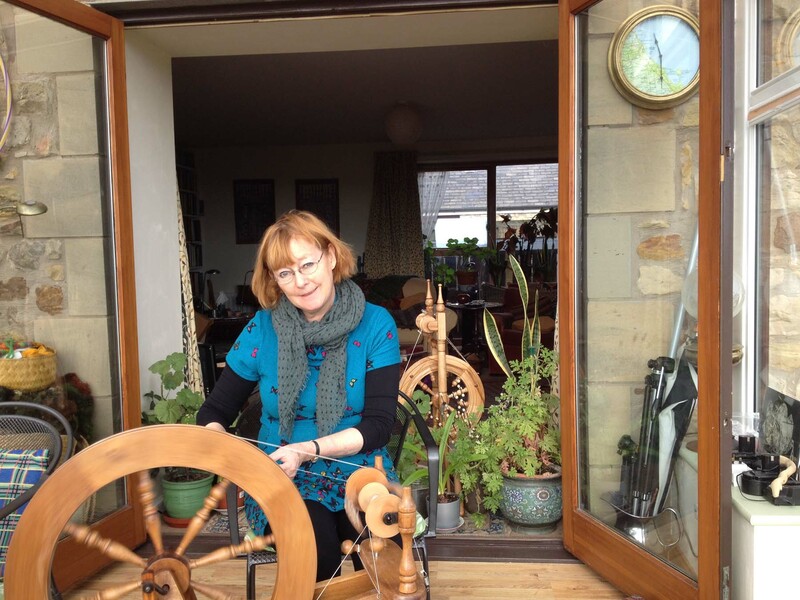 What a truly lovely post, a spinning wheel eulogy honouring the departure of an old friend and marking the arrival of a new one. I noticed that you knew some of your fleeces by name. 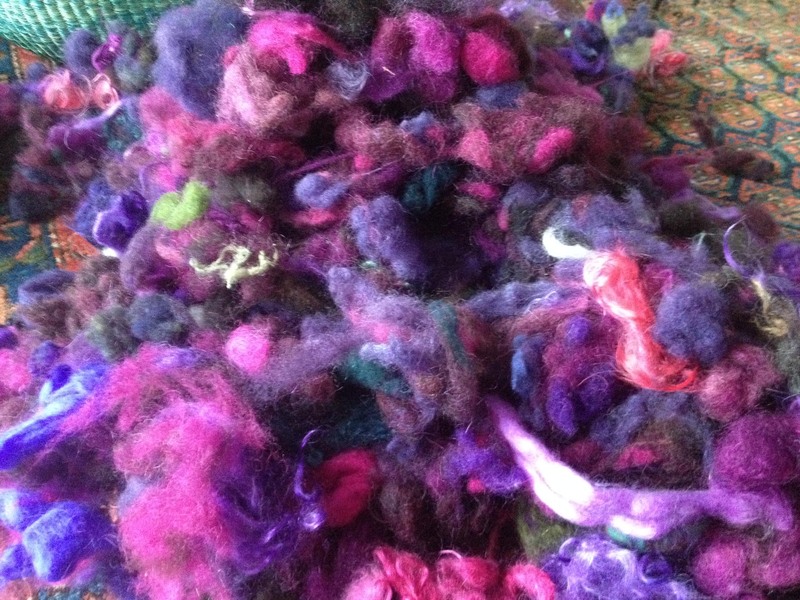 Do you think that it makes a difference to the spinning when you know something of the animal that gave the fleece. It seems like a significant thing. Thank you for your kind words, Rebecca! – glad you enjoyed the post. Yes, I think it is very important to know the provenance of your fleece – and to be acquainted with the sheep is very special indeed. I had Charity’s fleeces several years running, and then moved on to her daughter, Grace. 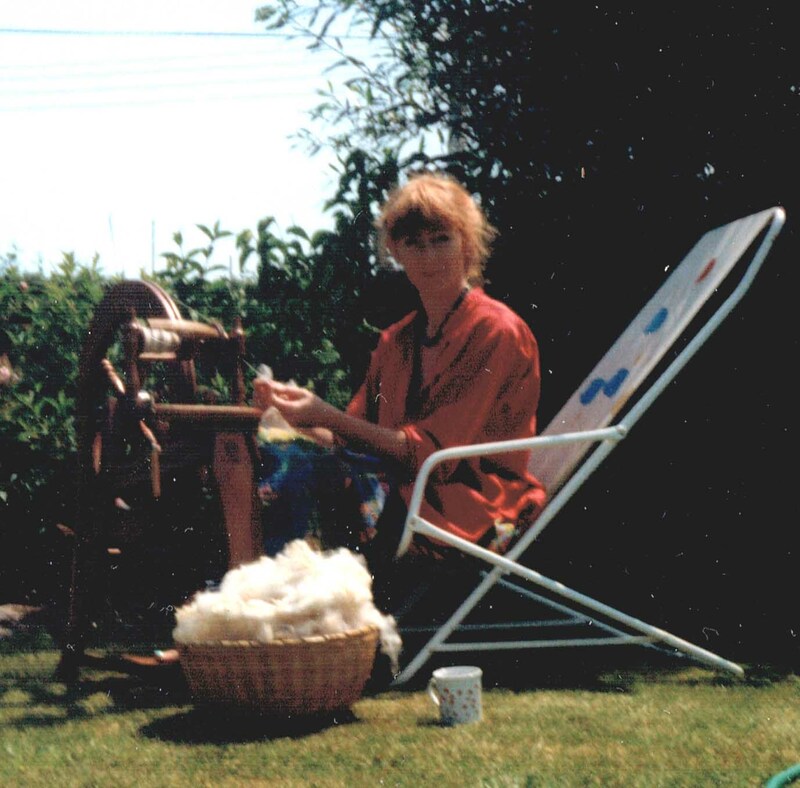 Her first fleece was used to make a gorgeous Kaffe Fassett poppies cardigan which I still have. She was very much loved by her owner, cared for very well, and all that goes towards me treasuring my cardigan, even if I don’t wear it very often nowadays. I think we all yearn for local continuity these days of crazy global business, and knowing where my fleece comes from is just a small part of this trend. 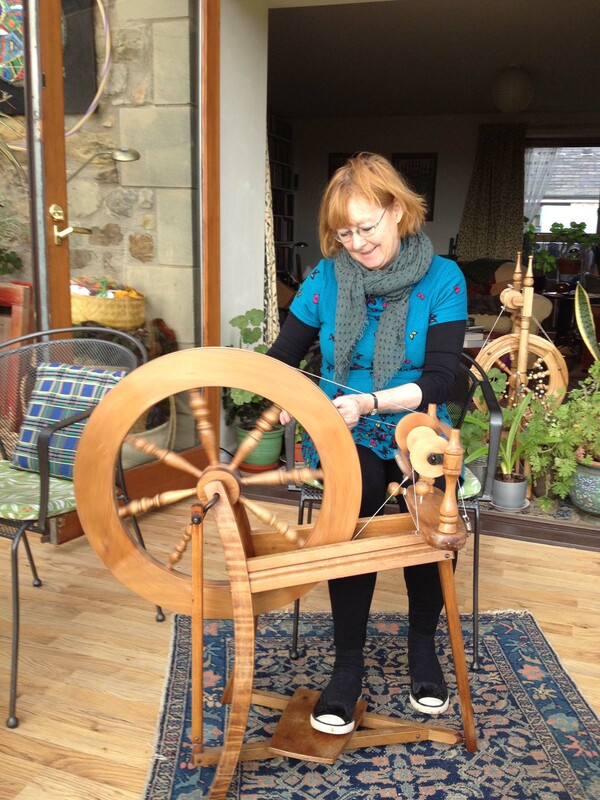 Spinning is such a wonderful activity, I’m really glad you found it and it helped you. It helps me constantly too! 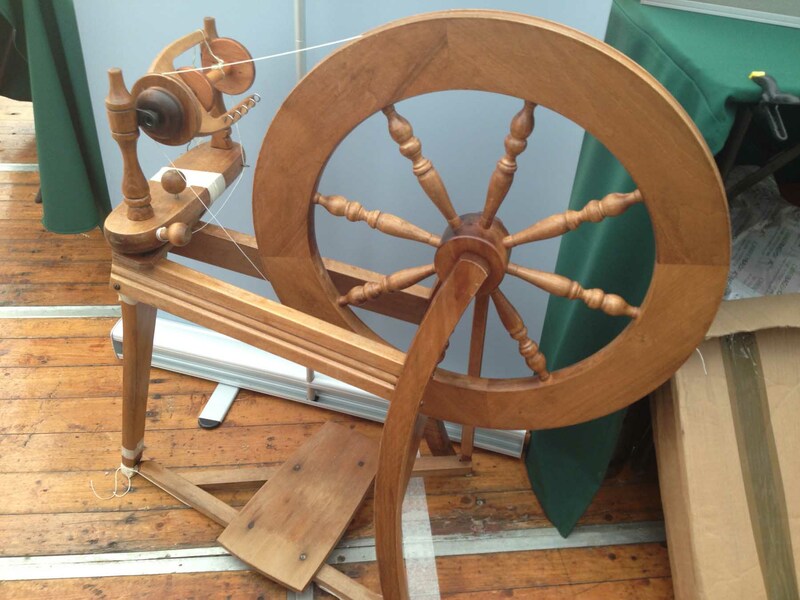 Have you been spinning much? 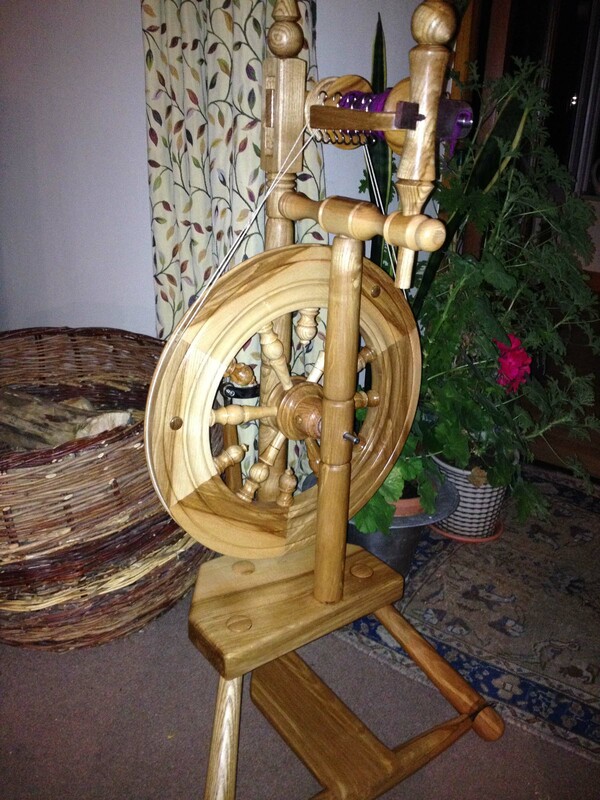 Isn’t spinning fantastic. Leonor?! So pleasurable – I know it’s idiotic in terms of cost and effort of production, but it wins hands down for sheer pleasure in production. 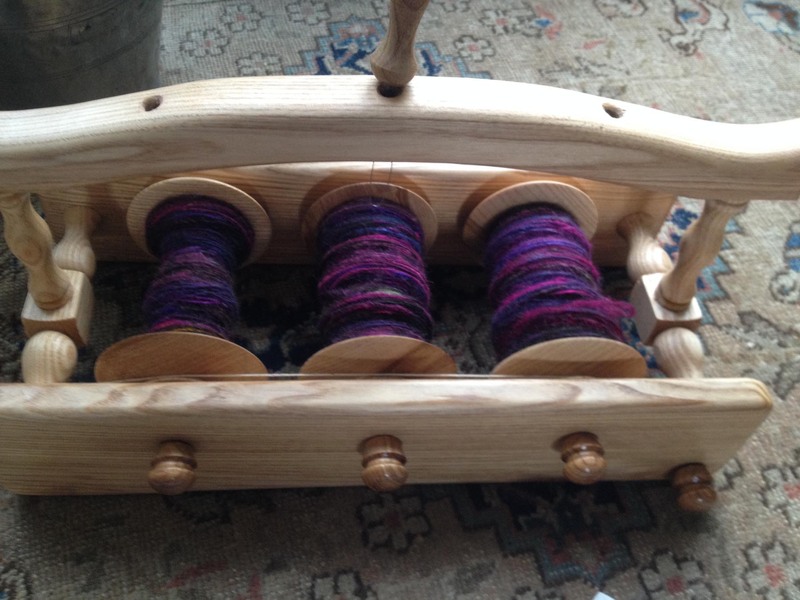 I try to keep a little bit of spinning on the go all the time – and then there are the mad times when I spin all the time to the exclusion of all other crafts! I wonder what you do? 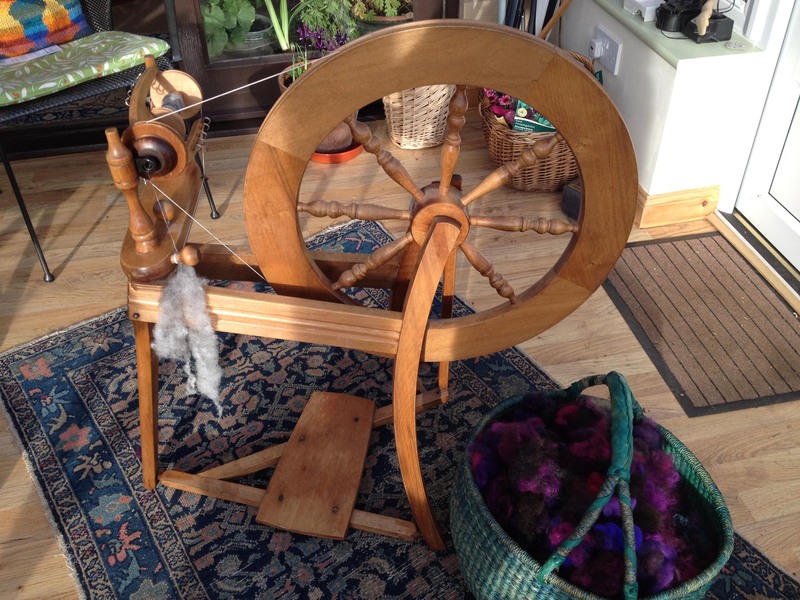 Spinning is the best thing ever. 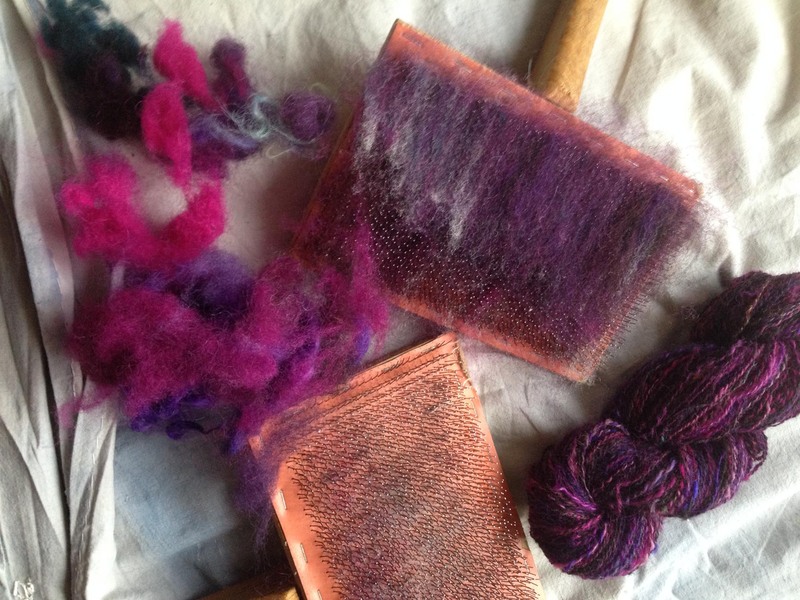 Apart from, maybe, knitting, or dyeing, or felting 😀 I just love all of these things! 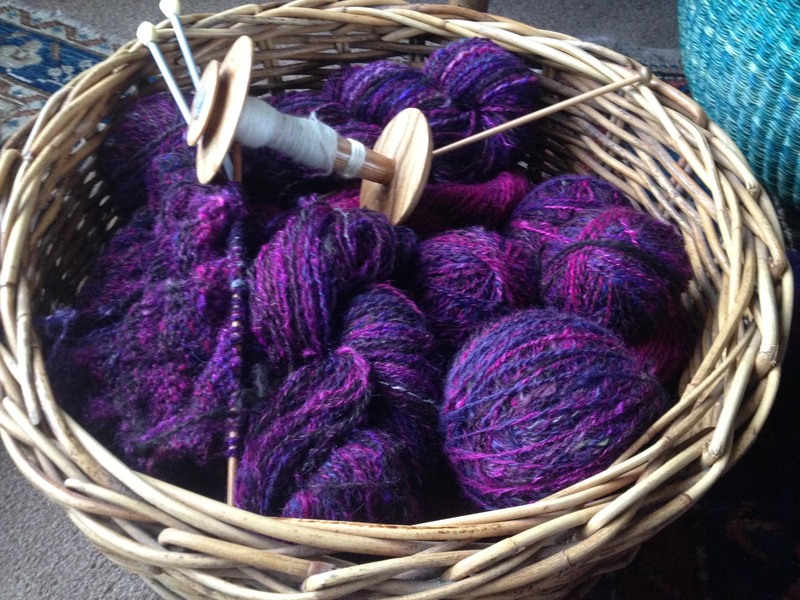 I’m glad you find it therapeutic, for me personally it’s the sound of the wheel and the repetition that just makes me feel amazing when creating yarn.